Hi, we are Bob Block Bail Bonds. We have been felony bail bond specialists since 1959 serving the entire metropolitan St. Louis area. In most cases only a small down payment is needed and no collateral or employment is required. Guaranteed financing for any balance with 0% interest. Payments are based on your budget. Ask for our confidential list of top St. Louis attorneys waiting to talk with you for free about your case and willing to work with you on flexible terms. Agents available 24/7. Keeping feet on the street since 1959. Contact us now! 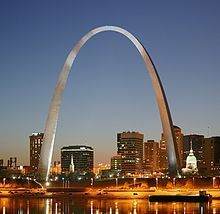 Felony bail bonds in metropolitan St Louis area. We can also provide direction in getting bond reductions. Our "product" is bail bonds. While we specialize in felony bail bonds, we do offer bail bonds for misdemeanors and traffic offenses. All of our agents are licensed with the Missouri Department of insurance and have undergone criminal background checks. Saint Louis,	Saint Charles,	Florissant,	Ballwin,	Belleville,	Saint Peters,	East Saint Louis,	Chesterfield,	O Fallon,	Granite City	and other cities within 105 miles of Chesterfield.,	Fenton,	Arnold,	Alton,	Collinsville,	Edwardsville,	O Fallon,	Festus,	Farmington,	Maryland Heights,	Washington and De Soto	. Unfortunately this is a business where if the consumer does not know the right questions to ask, they will not get the right answers. And because most consumers do not deal with this type of business on a regular basis it is difficult to know what to ask. Not getting the right answers will cost you BIG time in the long run. You should know the location of the person that you need a bond for. You should know what the person is charged with. How much will it cost for me to post bond? How soon can you post the bond? These are the most frequent questions we get but the answers all vary based upon the individual circumstance. We continue to monitor important court dates and case information for the client. We advise them of the information via communication methods they have requested. Bob Block Bail Bonds is St. Louis' oldest and largest bail bond companies. This is a locally owned business that was originally established in 1959. What will happen if I don't post the bond? What if I do not have all the money I need to post the bond? How does a professional bond work? Do I have to use a professional bond? Can I post the bond on my own? Can I get the bond reduced or modified? We do not "rate" our clients. We treat each client and their family with the respect and dignity they deserve during this difficult time. We are proud every time we are able to help someone achieve the result they were looking for. For customers looking to save money we would recommend that the bonding company you are working with provides you several different options when it comes to down payment you need, total amount you need to pay, and payment arrangements. One size does not fit all and you may be able to save money when a bonding company customizes a program for you. Fixr has validated the email provided by Bob Block Bail Bonds. Fixr has reviewed the content provided by Bob Block Bail Bonds to match our community guidelines. Bob Block Bail Bonds has been rated with 48 experience points based on Fixr's rating system.